This cover features our Fly Away With Me Parisian shoot and is one of three inspiring shoots in our Fashion Forward section and was shot by the lovely and talented Alea Lovely Fine Art Photography. 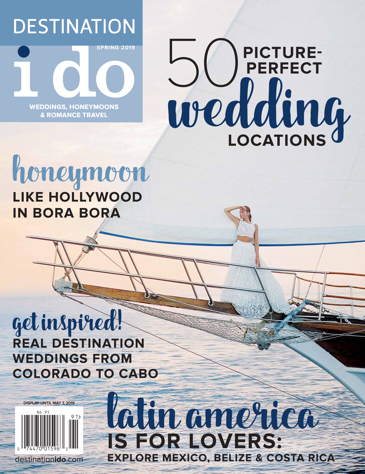 When it comes to idyllic destinations for your wedding away, this issue we’re featuring locations with Laid-Back Luxury. For these properties, you’ll be treated like royalty without having to worry about wearing your Sunday best. For our Honeymoon Hideaways features, we kept things not just romantic, but adventurous! Spread your intrepid newlywed wings to explore destinations like Morocco, Tuscany, Fiji and French Polynesia. 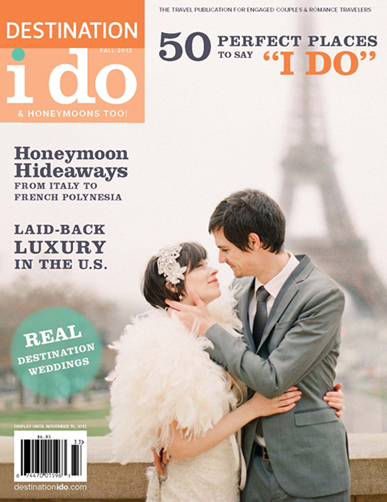 Last, but certainly not least, is our bread-and-butter, so to speak – Real Weddings!